Whether it’s a battle on a planet or with lightsabers, the list goes on and on. There are so many! And that’s where you come in. We’d like you to tell us your version...the GREATEST version...of any Star Wars battle you can think of. If you think the Battle of Yavin is the greatest, tell us your version! Who would have saved the day if Luke’s torpedoes missed? What would you have liked to see in the battle? Or what if Yoda showed up during the battle between Obi-Wan and Darth Maul? Or what if Vader showed up between Rey and Kylo?! Or what if the speeder bike chase on Endor went differently? Get the idea? This is LEGO Star Wars and anything is possible! 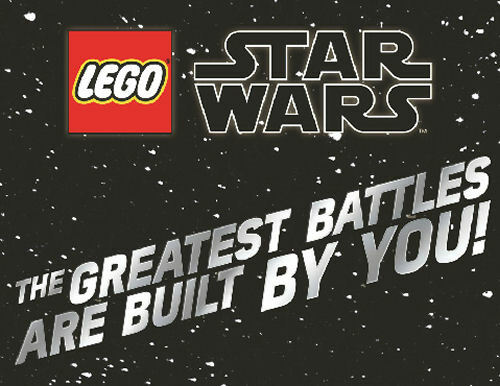 We want you to have fun because the greatest LEGO Star Wars Battles are built by you! 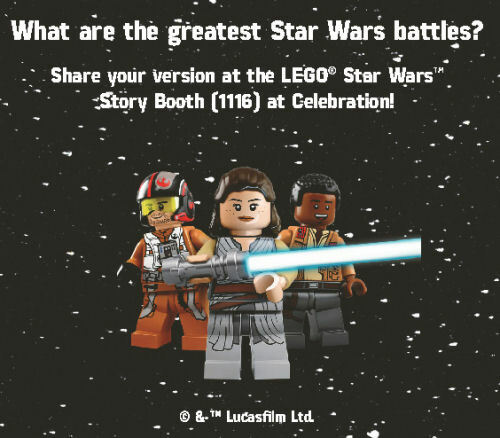 Head to the LEGO Star Wars Story Booth at 1116 at Celebration and enter the promotion - spaces are limited and interest is high! You have until Monday to enter so don't delay!